Taking Action Archives - Fast Mirror - 360-Degree Feedback. Well it’s about the end of the quarter. Time to check in on your goals. And don’t forget about your development plan. Do you even know where it is? A quarterly check-in may sound stressful if your behind on your development plan or even your goals, but it will only get worse if you don’t do it. Everyone falls behind at some point. The good news is checking in regularly provides you opportunity to review your progress, assess your obstacles, and take action to get back on track. There are many possible reasons you’re behind schedule in your development plan. Before considering yours, make sure you are willing to admit what is working and what you may have misjudged. You’ll need to look inward. When you’re ready to own up to it, consider these common issues and what you can do to address them. Things are taking longer than you thought. Surprise issues pop up that push back your timeline. Important meetings got rescheduled. And so on. Who knew! Looks like you’re also getting some development in project management. Now you have a better sense for how long things really take and the kinds of problems that could set you back. Take some time to identify what could happen in the future, then make a contingency plan for what you’ll do if it does occur. Check out these tips from Wrike for some basic project planning tips. Although you may not be able to plan for everything, you will definitely be better armed for the more common problems that you’re likely to face in the future. 2. The activities in your development plan are not realistic. Whether you set SMART goals or CLEAR goals, your plan needs to include only activities that are realistic. Maybe you planned to have meetings with people that you’ve since learned are impossible to get meetings with. Or maybe you’ve found your speedy timeline is just not feasible due to circumstances beyond your control. So now you know what’s reasonable to expect and what’s a pipedream. Ask yourself these questions regarding each deliverable you’ve set for yourself. For those that are pie in the sky, adjust them accordingly. 3. Your development activities are more difficult than you thought they’d be. What is going well in this activity? Is this challenge within my control? If yes, identify at least one immediate change to make. If no, identify what aspect of the situation needs to change to allow you to gain control. If you’re honest with yourself in completing this exercise, you should get enough insight to either keep going, or make an appropriate change. 4. You’re not committed to your development plan. 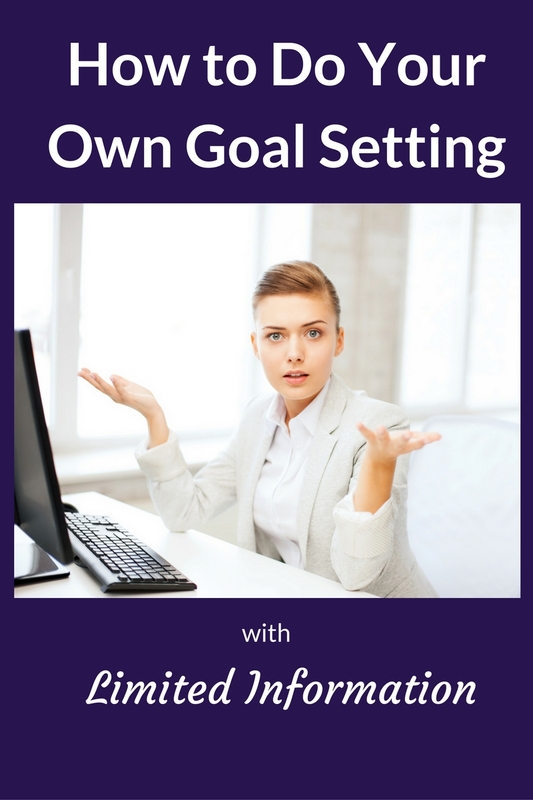 What if you have all the planning right, a sufficient level of challenge, and realistic deliverables, but you’re still having trouble reaching your goals? It’s time to question how committed you are to this plan. Consider what motivated you to start this journey in the first place. Who or what are you doing it for? What is your vision of what things will be like after reaching your goal? Do these things drive you to work harder? They should. If they don’t, reflect on what does motivate you and what you’re aiming for. What is your long-term goal? The purpose of reminding yourself of your motivation is to provide you with a fresh burst of energy to keep going. 5. The activities in your development plan are no longer relevant. How well can you predict what craziness you’ll be dealing with six months from now? Probably not so much. The days of routine and monotony at work are over. So if your development goal is no longer relevant to what you do (e.g., you changed jobs, have different responsibilities, you’ve been part of a reorg, etc. ), change your development plan to make it relevant again. If you expect more change to occur in the future, consider shorter-term deadlines or more generic types of activity so you are still able to focus on your development despite the potential for more change. But don’t let the potential for more change be an excuse for tossing your development plan in its entirety. What reasons have impacted your ability to keep your development plan on track and what have you done about it? Share with us in the comments! 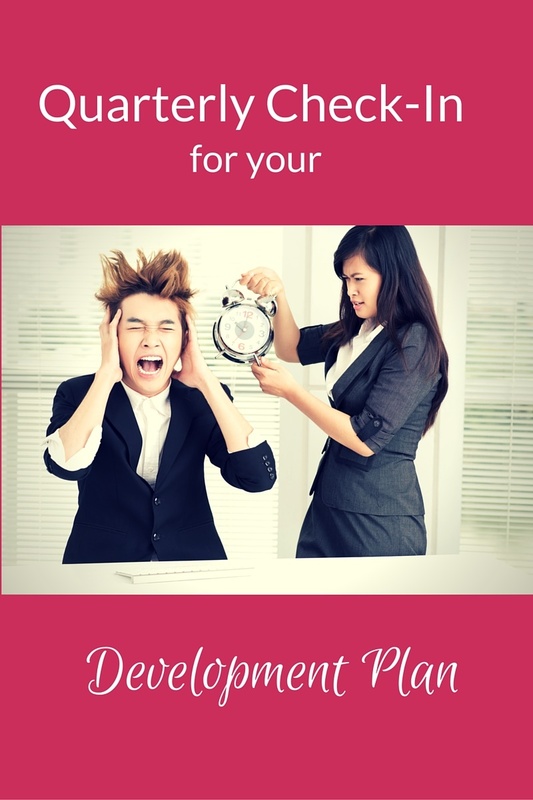 After searching far and wide, or perhaps by asking HR or a colleague for help, you’ve obtained a development plan template because you realize it’s important for you to have your own development plan. You’re committed to work on your development and really looking forward to it. It’s all downhill from here. Until you sit down to complete it. You’ve got your huge pile of resources (overwhelming), your last performance appraisal (ambiguous), and notes from your last meeting with your boss where you discussed your development needs (your notes simply say “I am solid”). It’s no surprise that the vastly blank development plan template with its blinking cursor is staring back at you. 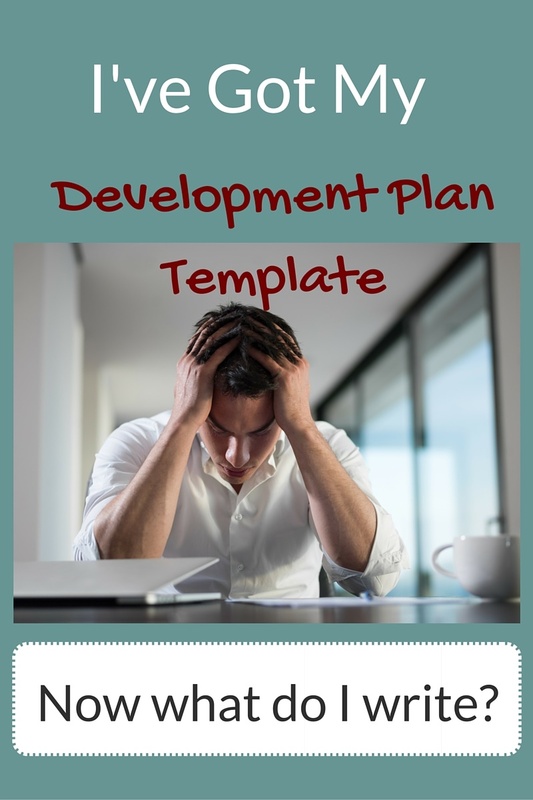 It’s writers block – the development plan template version! The purpose of a development plan is to provide you with a structured path to behavior change. To do this, your development plan needs to contain some key information whether or not it’s called for in the development plan template. Here are the critical elements to include in your development plan that will give you the best chance at achieving behavior change. 1. Identify a specific behavior you want to change. It’s not enough to say “I want to be a better problem solver” or “I want to improve morale among my team.” Those are a good start, but they are results, not behaviors. 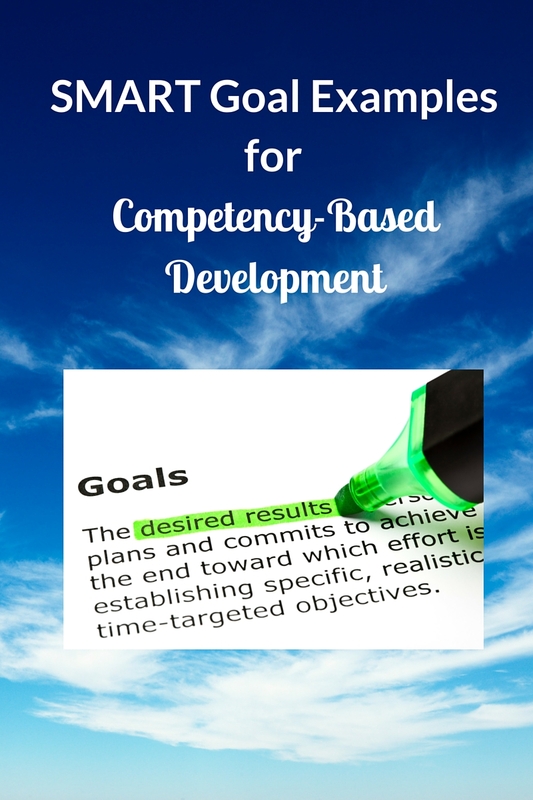 When completing your development plan template, in addition to your desired results, you need to identify the specific behaviors you are either not demonstrating, demonstrating ineffectively, or need to stop demonstrating, because doing so will lead to the desired result. When identifying the behavior you seek to change, ask for input from people you work with regularly. 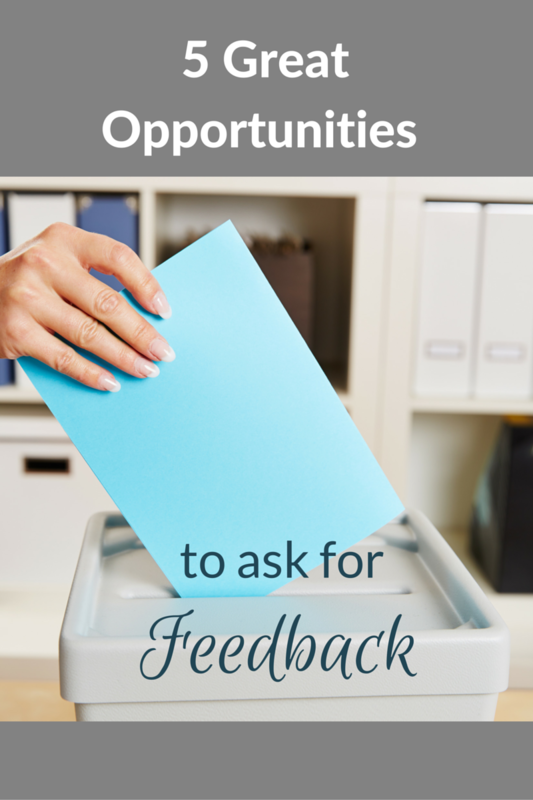 Solicit specific feedback via a survey, through a social tool, or even – gasp – in person! You should also use any relevant, readily available information such as survey data from other projects, customer sat data, etc. Based on the feedback and your desired result you should be able to articulate a specific behavior you want to change. A few examples: “consider multiple perspectives when making a decision”, or “reward my team quickly whenever a goal is achieved.” If you’re not sure whether your statement is a behavior or a result, ask yourself if it’s something you demonstrate or something you want. If it’s the latter, it’s not a behavior. 2. Make sure you can articulate what the outcome looks like after you make the behavioral change. How will you know that the action of quickly rewarding your team has improved morale? The answer lies in how the team’s morale is measured. Data from engagement or exit surveys are commonly used for this purpose. You could also use data that is collected on a more frequent basis for a variety of purposes such as attendance at team functions or customer trend data. If none of these exist at your company, design your own measure such as individual participation in staff meetings or team-building activities. In addition to knowing how you’ll measure your results, you must also be able to measure how effective you’ve been in changing the behavior you’re targeting. Continuing with the same example, team morale may have increased but how do you know your behaviors related to rewarding your team have improved? The best way to know is to ask your team. A follow-up survey is commonly used for this purpose. Alternatively, you could ask them using the same alternate methods discussed for soliciting initial feedback such as asking them in person or through your preferred social tool. Choose the method that works best for your target group. 3. Identify activities that will provide you opportunity to practice the behavior you’re targeting. It’s fine to read books or articles, take a class, even attend a conference. But don’t expect that learning experience to catapult you to immediate success. You need to practice what you’ve learned in a safe environment where you can partner with a mentor or a coworker who is skilled in the area you’re working on. Ask around to find out what projects are going on in the company that you can participate in. If seeking out a development project within your company is a challenge, explore possible extra-curricular activities. Get involved with a local association for your area of expertise or a committee at your kid’s school. Volunteer with a non-profit or participate in your local government. These are just a few examples of opportunities that offer exposure to a variety of different types of work and often have an urgent need for help. Many development plan templates include additional areas such as resources needed, what kind of support is needed from the manager, linkage to corporate objectives, etc. If these are helpful to you, use them. You should also build in time for regular self-reflection to evaluate what aspects of the plan are working and what you might want to change. It is completely fine to modify the plan as needed to make it work for you. 5. Schedule accountability and check-in mechanisms. When you documented your plan, you assigned yourself a variety of deadlines. So before you put that completed development plan template in your desk drawer, make note of those deadlines in whatever planning tool you use for all your other work. If pop-up reminders work for you, use them. If you use a paper planner, document all your deadlines in that. You should also note any check-in meetings you planned for (e.g. with your boss, your mentor, etc.) and the time you allotted for self-reflection. If you’re serious about your development, this should make complete sense to you. If it doesn’t make sense, ask yourself if you’re truly committed to self-development and the time investment required for behavioral change. Ultimately, no matter how awesome the development plan template may be, you still need to fill it with tangible actions and measures if you expect to get anything out of it. What have your challenges been in completing a development plan template? What do you do to address them? Tell us in the comments! If you’ve ever worked in a mid-size or large organization, you’ve probably had at least one individual development plan (IDP). If you work in HR, you may have dealt with many IDPs – those of your company’s employees. In either case, there is a dirty little secret about the IDP that you are likely familiar with. 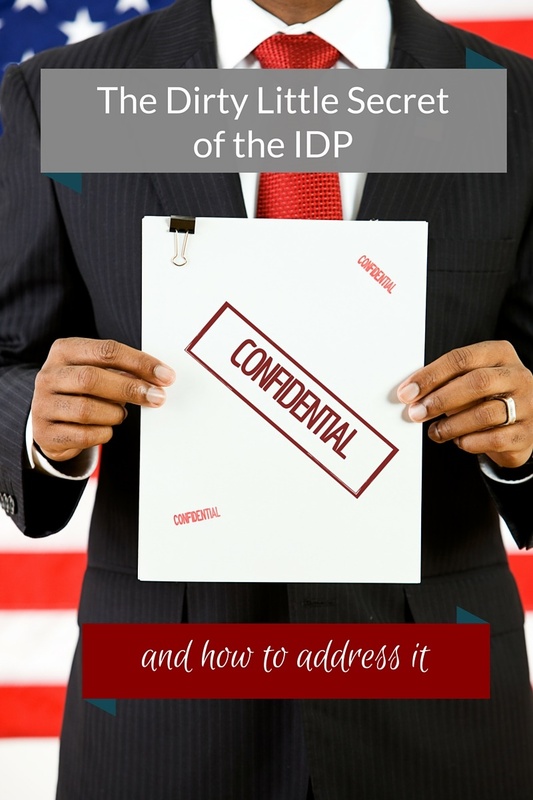 The “secret” is that the IDP typically gets forgotten or ignored. Deadlines come and go with minimal acknowledgement of the deliverables that have been missed until it’s time to create a new IDP or perhaps the performance review. In truth, this is no secret. But it’s something we don’t often acknowledge. I suppose it’s understandable when you think about all the work that’s gone into putting the whole thing together. Despite the lack of readily available evidence, let’s be honest and admit that of all the things that get forgotten or ignored in the workplace, the IDP is at the top of the list for many employees, at all levels. The reasons vary greatly, ranging from lack of commitment to lack of technology. You could almost write a masters thesis on all the reasons! In the meantime, here are five individual strategies you can implement to keep your IDP on track, no matter how much support you receive from your organization. 1. Be specific with IDP goals and activities. It’s not enough to simply document in your plan that you want to “be a better communicator” or “demonstrate leadership more often.” These are good starting points, but must be specified to the degree that there is no guesswork required to determine what the statement means. Maybe “be a better communicator” means I want to deliver engaging presentations. Or maybe it means I want to appear more confident when speaking to others. Maybe I need to speak up more in meetings when I am confused. If you’re not sure if your statement is specific enough, share it with a few trusted advisers and ask them what they think you mean. If you get a consistent answer from several people, you’re on the right track. 2. Know your expected outcome. Now that you’ve targeted a specific goal, think about how you will know you’ve succeeded. Suppose my goal is to deliver engaging presentations as described above. How will I know I’ve done this? At some point I will need to collect some data to answer the question. I could administer a feedback survey. But it’s not the only option. Other options might be to ask a few key people in person after the session, or to collect observational data in the session such as the number of times the audience is observed checking their cell phones or leaving the room. Start with your vision of what success looks like for you, and create your measure based on that vision. 3. Identify your motivation and incorporate it into your strategy. Whether you’re into vision boards or not, thinking about and visualizing the reasons behind your goals is a common practice for fitness goals, life goals, and more. The same strategy should apply to your IDP. With career development, we’re all motivated by different things. What is driving your desire to succeed? Is achievement of this goal going to allow you to spend more time with your family or provide a better life for them? Maybe your motivated by having the opportunity to do work you enjoy, and doing this work will bring you closer to it. Once you identify what it is, develop a strategy for keeping your motivation top of mind whenever the going gets tough. Hang some pictures near your desk, add relevant quotes to your phone background, etc. You’ve probably heard you’re more likely to stick to your workout plan if you make exercise social and share your goals with friends and family. Apply that same logic to your development plan, focusing on the people who are best suited to help you. Ask your coworkers to send you a signal when they see you demonstrating the behavior you’re trying to stop, or ask your direct reports to inform you when you say something they find helpful so you know to do that more often. The point here is you shouldn’t go at this alone. Just like you use teamwork to complete projects and get the job done, you should also use it to facilitate your development. 5. Include your development goal deadlines with your “real job” deadlines. I’ve actually had people tell me their IDP deadlines were secondary to their other deadlines. Below the surface, this suggests their development may be a low priority, and that’s a separate blog topic! However, if your development really is top priority, it needs to be managed with the same structure you use in your other priorities. Record your deadlines and set reminders using the same task management system you use on a daily basis (online calendar, paper planner, the latest task management app, etc.). Check out this article for more insight on how to meet deadlines you’ve set for yourself. Does any of this resonate with your experience with IDPs, either your own or your clients’? What tips do you have for staying on track? Share them in the comments! If you’re lucky enough to have a culture of self-driven development, employees at any level should be able to solicit feedback on a regular basis from their coworkers. This is growing more common as companies are moving away from the annual performance appraisal exercise and seeking ways for employees to receive more frequent, meaningful feedback, As with anything, some times are better than others to do so. This means HR organizations and employees themselves need to identify who, when, and under what circumstances feedback should be solicited. Who should you ask for feedback? When is a good time? Here are five common work events that provide a great opportunity to solicit input from others. 1. Ask attendees of a meeting you recently facilitated for feedback. You want to poke your eyes out because the meeting is boring, purposeless, or way too long. You cringe because you are embarrassed for the facilitator for some kind of verbal or physical blunder. You observe or are part of a communication breakdown among the attendees. You leave the meeting confused, surprised, or fearful for what’s to come. Don’t be the facilitator of that meeting! Or if you are, take steps immediately after the meeting to find out what you can do next time to prevent it from repeating. 2. Ask project team members for feedback at the conclusion of the project. You may be stoked because your project was a huge success or maybe you’re simply relieved that the project is over. Asking for feedback at the conclusion of a project is a great opportunity to reflect on how your behaviors impacted other members of the team. Whether you were project manager or a contributing participant, you should take advantage of the timing immediately after the project ends while the experience is still fresh in people’s minds. 3. Ask your former peers or direct reports at the start of a transition into a new role. Coworkers you used to work with until very recently can be a great source of insight. These people may feel more comfortable giving you developmental feedback because they know they won’t be working with you on a regular basis in the future. Whether you are leaving the company or moving to a new role in the same organization, take advantage of the opportunity to seek feedback any time you are transitioning from one workgroup to another. 4. Ask key stakeholders you worked with on a recent crisis. Do you know people that function really well under predictable circumstances but are barely recognizable under pressure? Do you ever wonder if you are one of those people? After the dust settles from your next unfortunate surprise, ask the key people you worked with for feedback. Make sure you communicate that your reason for asking for feedback is to determine which behaviors you should continue to demonstrate in the next crisis, and which you should approach differently. 5. Ask key stakeholders of a change that’s just been introduced. When change is introduced, we tend to collect lots of feedback about the change itself and how people feel about it, but not about our individual behavior as implementers or facilitators of the change. Particularly in a leadership role, it is critical to evaluate the impact of our own behavior on the change, not only for professional development purposes, but for success of the change as well. These are some examples of opportunities to get frequent feedback but this list is certainly not exhaustive. What occasion do you recommend as an opportunity to get feedback? Share with us in the comments!